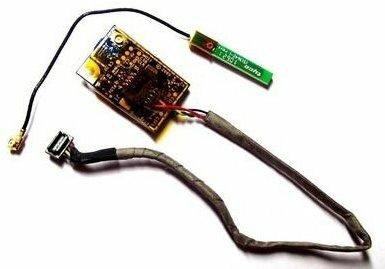 As I’ve promised in one of my previous posts, I’m going to tell how to connect an original Apple Bluetooth module to a Hackintosh. The Apple Bluetooth module has some advantages compared to a Bluetooth USB dongle, because it is 100% compatible with Mac OS and allows perfect work of a wireless Apple keyboard, mouse or touchpad. For instance, it will be possible to wake up Hackintosh with those devices. The most convenient to connect is a module from MacBook А1181. Some other modules can be connected in a similar way. But the module cannot be connected to Hackintosh straight away. Some modifications are required. Firstly, the socket needs to be replaced. 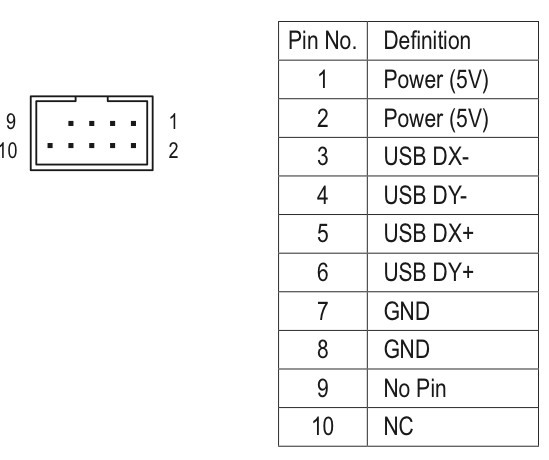 Secondly, the module requires 3.3V power supply instead of 5V that is used in USB. It is not a problem to convert 5V to 3.3V with LD1117 DC-DC converter and a couple of capacitors. 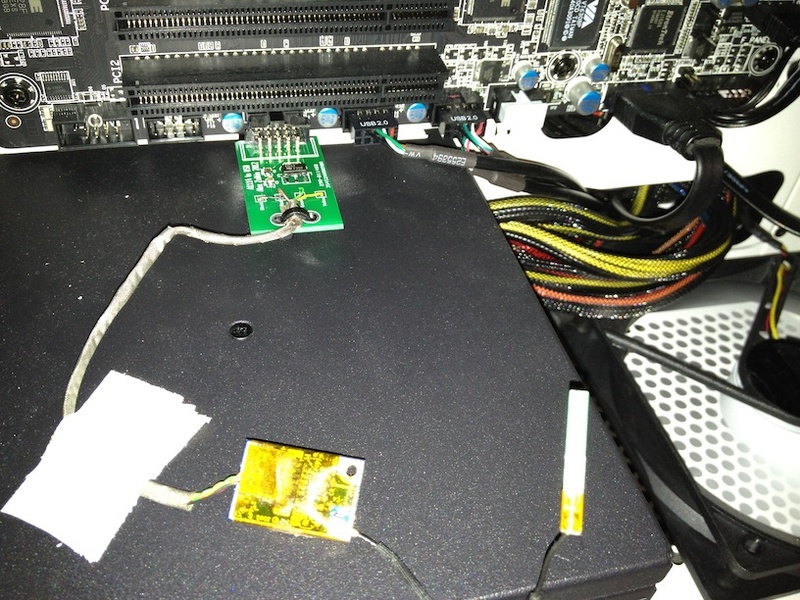 I’ve created a simple adapter with a proper motherboard USB connector on it. I’ve just cut the connector on the module’s cable and soldered the cable straight to my adapter. It is quicker and cheaper than try to find the proper socket. For better reliability I’ve used zip-tie to fix the cable to the board. A USB connecter on the motherboard is not a standard IDE socket, despite that it has the same pitch. It is smaller. I’ve solved the problem by cutting the excessive plastic on a standard socket with an engraver. 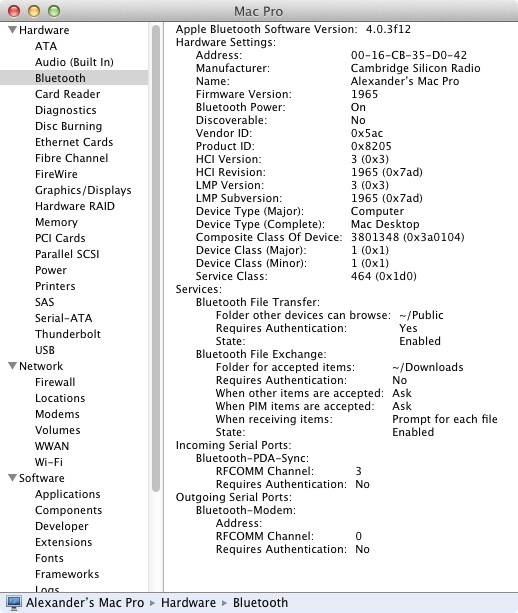 So, now my Hackintosh is equipped with original Apple Bluetooth. 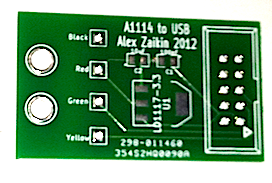 I still have some adapter PCBs left over and can send it to anybody interested. You can order it in my shop. Also, I can send a kit or even presoldered board (except Apple Bluetooth module). The rest posts about Hackintosh you can find here. See ya! Next Post: HD44780-compartible LCD display and STM32. Previous Post: Overview of KiCAD – free electronics design program.